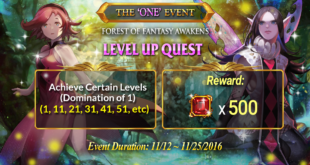 Fantasy Squad Hits 10K LIKES – New SNS Event Unfold! OnPlay are so pleased for the greater milestone that Fantasy Squad had achieved. For almost 3 months in a run, Fantasy Squad's Facebook page has already garnered 10K LIKES. They are so grateful for these gestures and over $100 worth of in-game items are up for grabs! 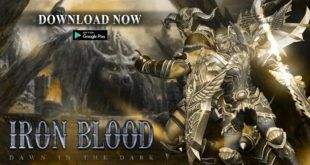 Download NOW – Iron Blood, NEWEST Monster Hunting RPG! Diminish the monsters you’ll encounter in the outskirt of Visus Empire! A new world of monster hunting RPG begins with Iron Blood: Dawn in the Dark. This hard-hitting and action rendered mobile game has arrived in Google Play Store. G-STAR (Game, Show, Trade, All Round) is a yearly event held by Korea Internet and Digital Entertainment, which is managed by Busan IT Promotion Agency. The event will be held on BEXCO, Busan on November 17-20, 2016. Fantasy Squad won’t run out of interesting community events in exchange from the great achievements of thousands of download and impressive reviews and comments from different social media platforms. Catch our 2-week engaging events that run until Nov. 25th. Fantasy Squad Spooky Weeklong Events! As Fantasy Squad unveils its Newest Content Game Update, we are always one step forward of what you want! 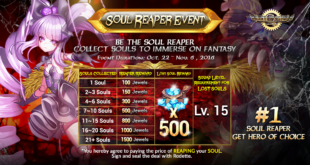 Because of our great milestones of thousand downloads, good reviews and feedbacks, we're serving in your golden plate our 2-week events namely: Spook-tacular Rodette’s Soulmate and SNS Event!!! Fantasy Squad is receiving great feedbacks from its Singapore and Philippine players. 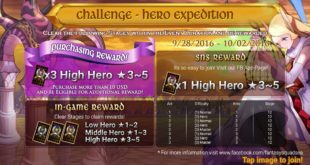 With this achievement, we are opening another event entitled “Expedition Adventure and PvP Bloodshed”. Players with the best Stages Result wins amazing rewards! This event opens until Oct. 02. 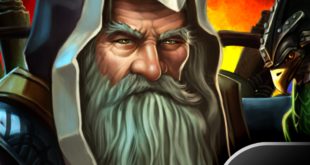 Rogue Life, the Ultimate Shooting RPG is so grateful for consistently topping on Google Play New Release Game charts and App Store. 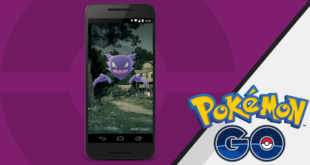 As our community gets bigger and bigger, this Snap Time Event will surely gather gamer! The event opens until Sept. 23.